Many parents, like myself, are choosing to homeschool because our kids don’t fit the profile of a “typical” student. Especially when your child has Autism or ADHD, or is just a very active, young boy! So, how can you make learning happen with a child who has a hard time sitting still? 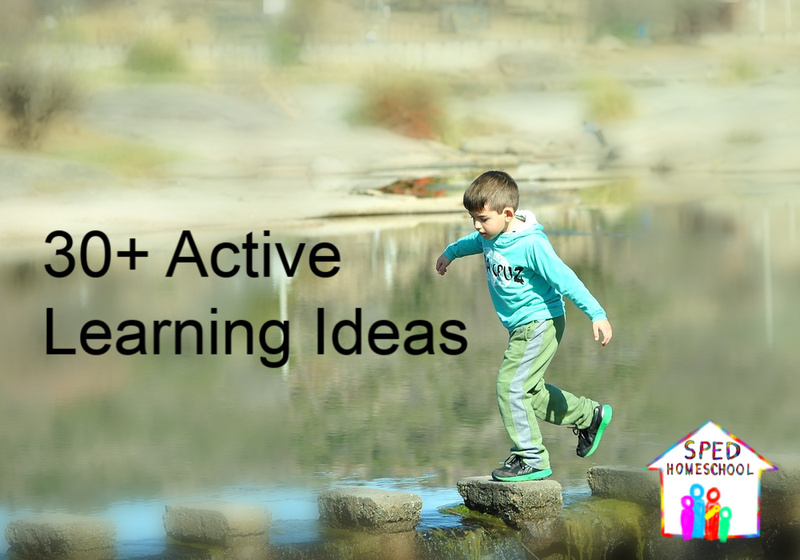 You make learning active and interactive! Here are some tips to keeping your kids engaged when attention spans are short! Tips to keeping your kids engaged when attention spans are short! If my son can complete 5 problems and understand a concept, why solve 10? My goal is mastery, not death-by-worksheets! If he needs more practice – I give it to him – after a break, or the next day! I focus on one concept at a time – keep things simple and focused. More is not always better – sometimes it’s just more! Reluctant learners often need praise and reassurance as they complete an assignment, not just at the end. Correct errors when they happen – don’t allow your child to practice incorrectly (it takes far longer to unlearn a mistake than to learn it right in the first place). Change it up – use different things to reward and keep it interesting! 3 – Work doesn’t have to be worksheets! Turn learning into a game by having them “jump” on or “tag” an answer. Use manipulatives to work out problems and “see” the answer. Many kids need movement to help move memory from short term to long term storage. Activities that cross the “midline” (right/left or top/bottom) are beneficial to activate both sides of the brain, also helping with memory. 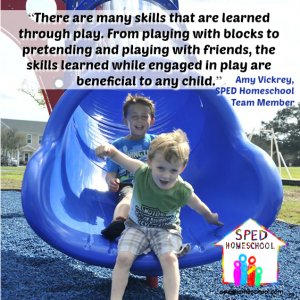 Movement makes learning more fun and engaging! Tie Thera-Bands on the legs of the chair for kids to be able to kick/push against while they are working. And so many more! As long as learning is taking place, location doesn’t matter. Count birds, squirrels, or other animals as you walk (you can also make up word problems – two birds plus 3 birds is 5 birds; 5 squirrels, two run away, that leaves 3 squirrels). Bring learning to “life” through unit studies and acting out your learning. In the last few months I have gained responsibilities and had my time shortened to a few hours in which to homeschool. All of this time is in the morning. My son is not a morning person. He is an early riser, but prefers to use his morning engaged in his own interests and definitely NOT in school work. When I can give him the morning to pursue his own interests (which usually includes building with blocks, playing with toys and his brother, and reading), schoolwork is typically easier to accomplish in the afternoon. Knowing this makes me feel SO GUILTY when I simply do not have the time to accommodate the schedule that I know makes him a better student. So, when I can’t accommodate his preferred schedule, I find creative ways to help him with continuing to make progress despite our limited time. 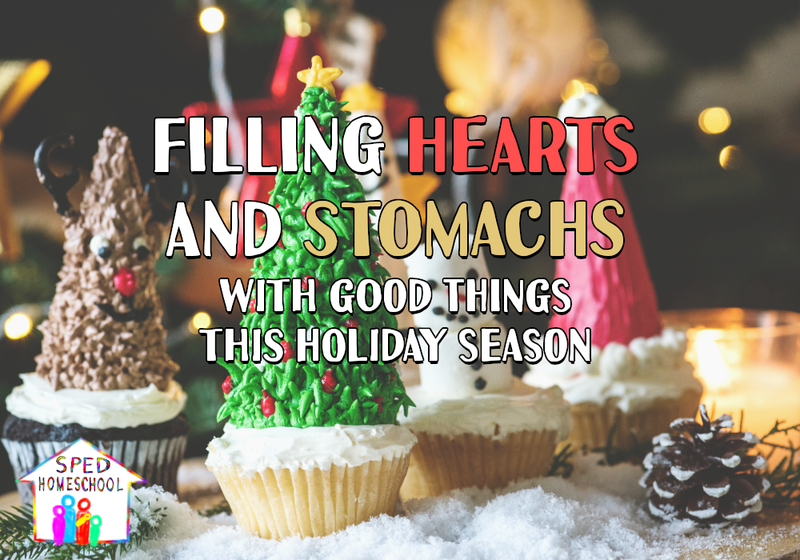 We homeschool year-round so we can take breaks as needed and move at a slower pace. I use therapy time as part of our school day. I communicate with therapists about the schoolwork he is doing, what is successful, and what is not so that they can help support the deficits too. I encourage science experiments with the OT, even getting cousins involved when they are over. I have found ways for him to be involved with swim classes, tutoring (counts as his school for that day), and even a robotics class! On days when we have more time, I utilize his checklist to ensure we touch on subjects that get put on the back burner on busier days. I remind myself that 5 minutes of direct instruction on a subject is better than an hour spent struggling on his own. I rotate the subjects I focus on for the day and keep to the most vital ones to maintain and increase skills. I put things intentionally in his path for him to explore other topics in science and social studies. I work to create a love of learning and a desire to gain new skills. (Check out 7 Tips for Cultivating Lifelong Learners). I utilize time on weekends to catch up when the week has been extra busy and full of appointments. I incorporate fun activities with the basic subjects whenever time allows to keep learning interesting and fun. I GIVE MYSELF GRACE! I recognize that I cannot do it all, and I cannot do everything all the time. I remind myself of the reasons I homeschool. By keeping focused, I can get through the tough days, and I know that someday I will look back and see God’s hand guiding me through these tough days into easier ones. 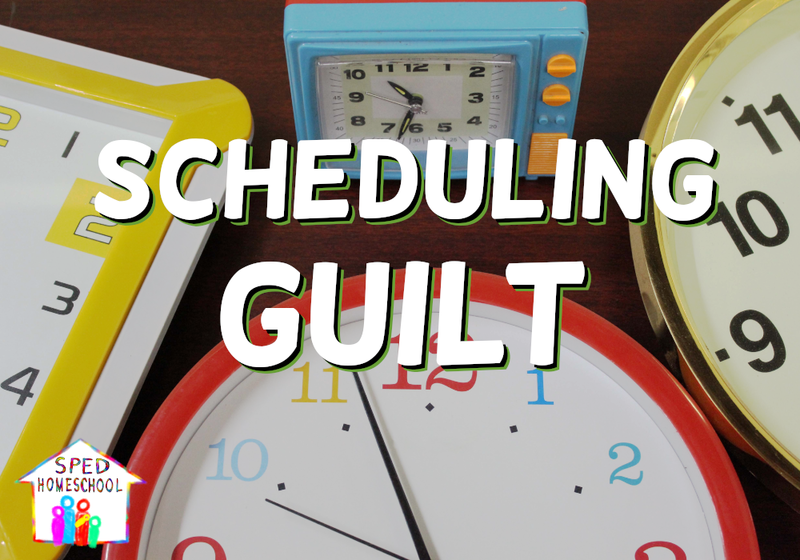 Whatever life brings, we all struggle with scheduling guilt at times. By being flexible, creative, and patient, we find that we can get to the other side and still see the progress that has been made, even if it is slower than my impatient self would like it to be. 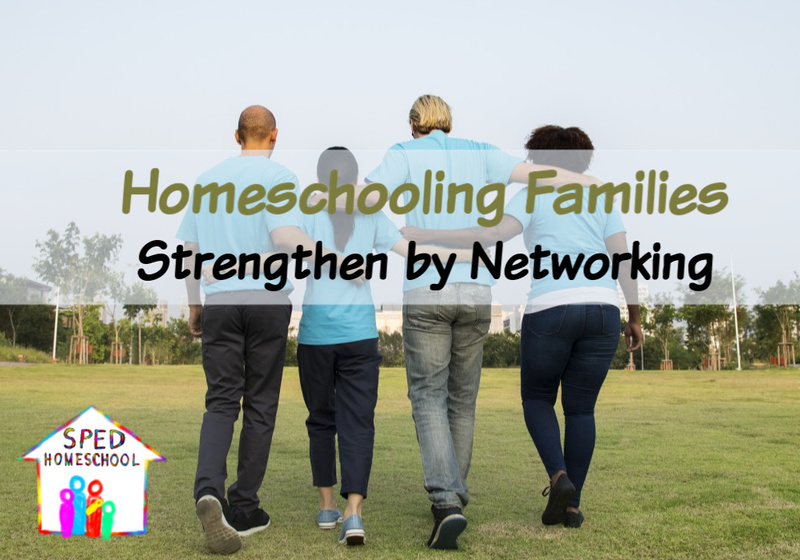 Even with a busy schedule and limited time, the benefits of homeschooling are present, and I am thankful everyday for the ability to work my schedule in such a way that I can continue to give my sons what they need most – a safe, loving, caring environment to grow and someday become the men they are meant to be.